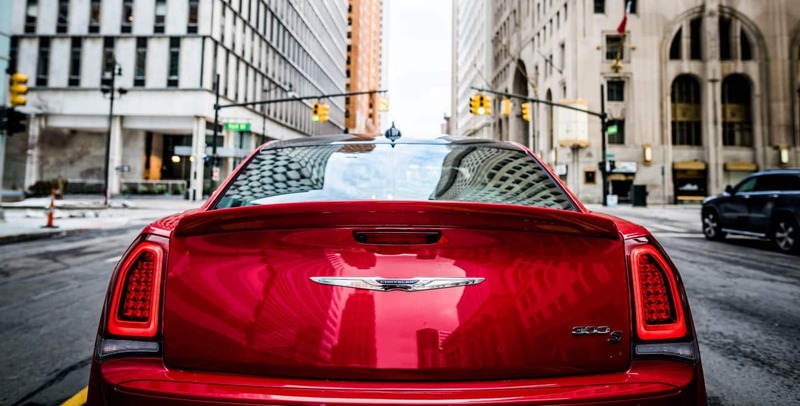 There is no doubt about it, the Chrysler 300 full-size sedan is loaded with bold American power and style! The 300 offers the latest in-cabin technology features to help keep you and your passengers fully charged and connected to the outside world, a comfortable and luxurious five-passenger seating configuration, and an expansive trunk for all the cargo! New updates for the 2018 model year including a reconfiguration of the trim levels with the addition of a brand new entry-level model! Keep reading the rest of our review to learn even more about this full-size sedan's powertrain options, style and features, and safety equipment! Can you tell us about the style and features of the 300? 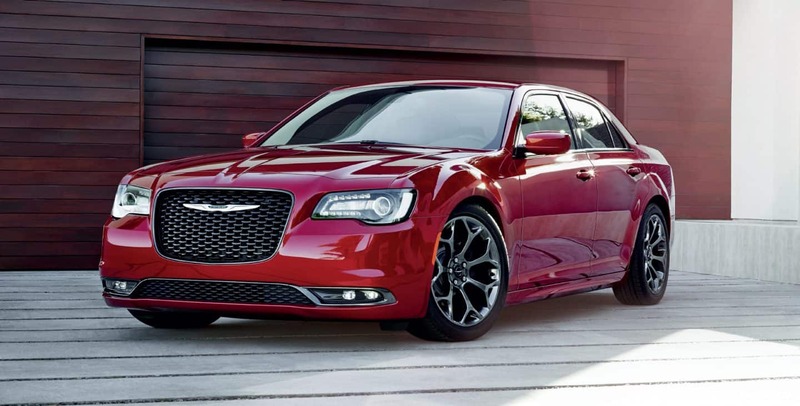 The 300's exterior boasts a wide stance and hard lines that define American luxury vehicles! This is an incredibly distinctive design that other vehicles just have not been able to compete with. The 300s sporty model offers blacked-out design elements that create a more aggressive exterior! Appearance packages are available to help you customize the 300 to your personal design preferences. 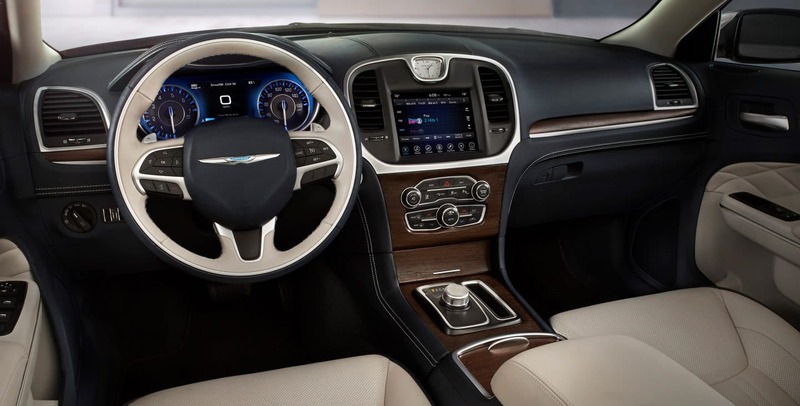 Inside, you'll immediately notice the detailed craftsmanship and modern technology features! 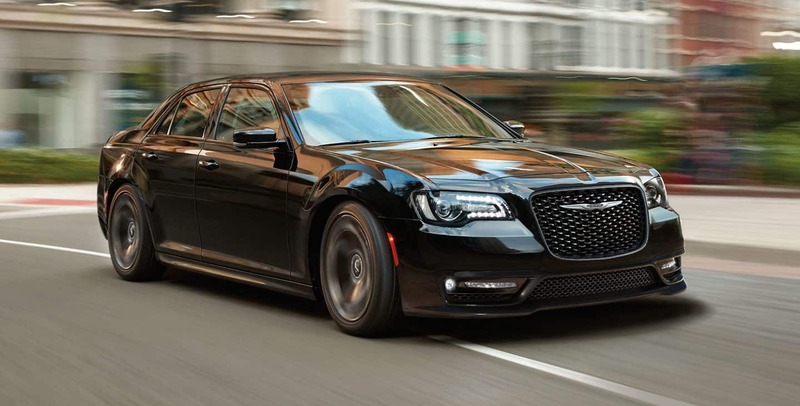 The 300 is offered in five trim levels ranging from the new entry-level 300 Touring to the top-of-the-line 300C. 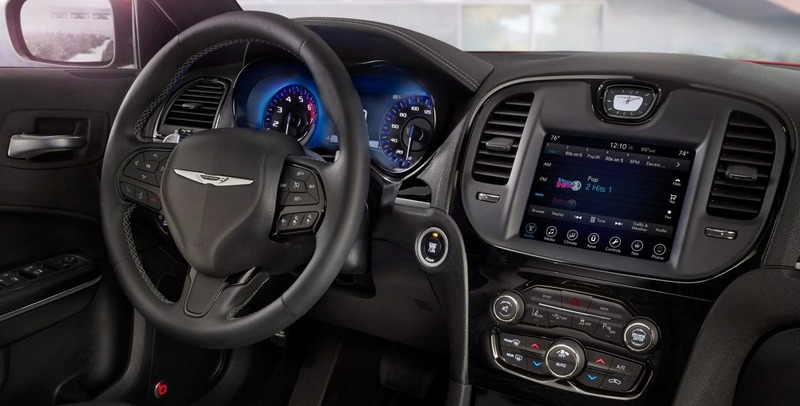 Standard features for the 2018 model year include Bluetooth connectivity, a six-speaker sound system, keyless entry, a dash-mounted analog clock, dual-zone climate control, 17-inch aluminum wheels, and a leather-wrapped steering wheel. Higher trim levels come equipped with features like driver assistance features, Beats and Harman/Kardon audio systems, AWD, and larger wheels. What kind of powertrain options are available for the 300? The 300 model is bold and powerful! 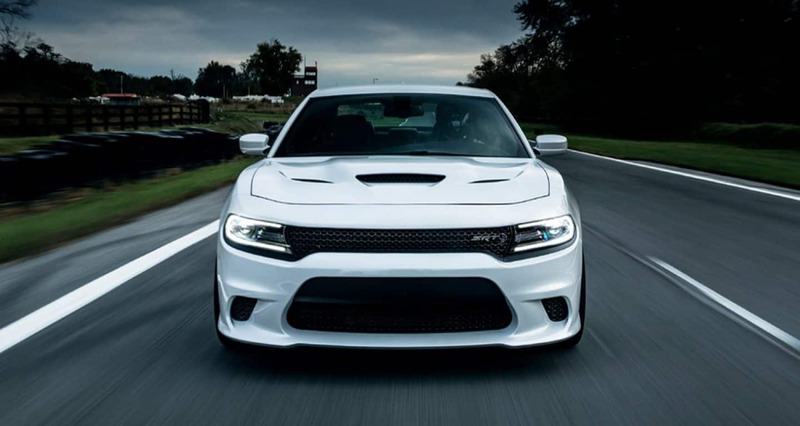 The first engine offered to power the 300 is the adored 3.6-liter Pentastar V6 engine utilized in other vehicles from the FCA family. This engine is connected to an eight-speed automatic transmission and together they create 260 lb-ft of torque and 292 hp. When this engine powers the 300S model it creates 260 lb-ft of torque and 300 hp! With standard rear-wheel drive, the EPA has estimated that this car can get up to 30 mpg when cruising on the highway. The second engine option is a 5.7-liter V8 that also works with the eight-speed automatic transmission. This powertrain combination cranks out 394 lb-ft of torque and 363 hp. The EPA estimated that this engine can achieve up to 25 mpg highway. Both of these engines can run on regular gasoline but the V8 can (and is suggested to) run on mid-grade 89 octane. Does the 300 model offer standard safety features? This bold and powerful full-size sedan makes the safety of you and all your passengers a priority! There is an abundance of standard features for the 2018 model year. They include remote keyless entry, rain brake support, a rearview camera to make moving in reverse safer and easier than before, a power trunk lid release, hill start assist, all-speed traction control, active head restraints, a suite of advanced airbags, speed control to maintain a certain speed, and a Sentry Key theft deterrent system to help keep unwanted visitors out of our vehicle. Advanced features are available on higher trim levels and they include adaptive cruise control with stop, a blind-spot monitoring system, lane departure warning, and full-speed forward collision warning with active braking. 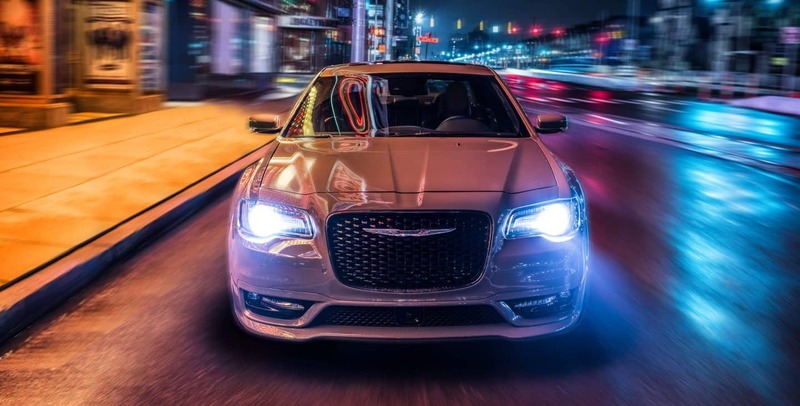 The 2018 Chrysler 300 is ready to change the way you and your passenger travel whether you're road tripping or commuting to work! 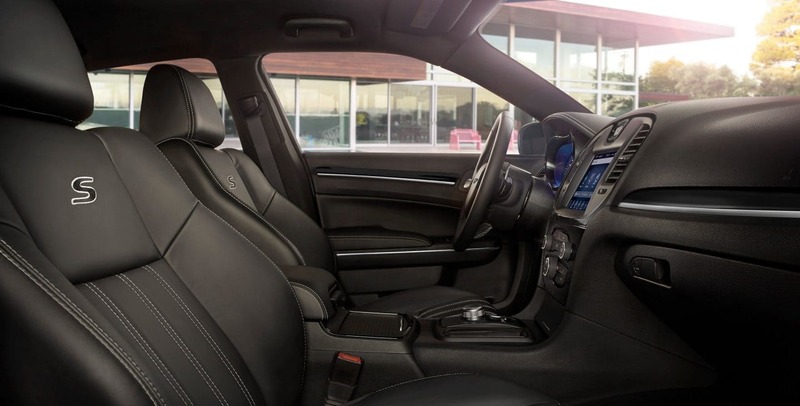 This full-size sedan offers a style and high-class interior that other sedans just can't compete with making it the perfect choice for drivers looking to make a statement with their vehicle. 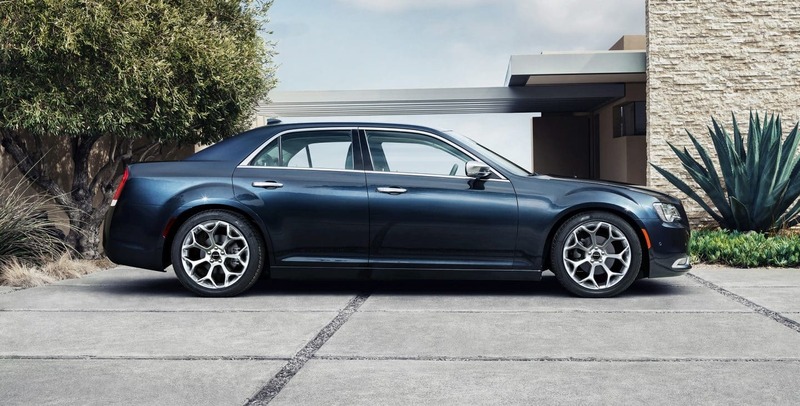 If you want to learn more about purchasing the 2018 Chrysler 300 fill out our contact form supplied below or give our sales team a call at (361) 248-2561. Visit our sales team in person to check this sedan out in person and even take a model out for a spin to feel for yourself just how amazing the 300 is!